In our search to find love - relationships may not end up how we expect them to, and unfortunately many of us experience a break up at one stage of our life or another. 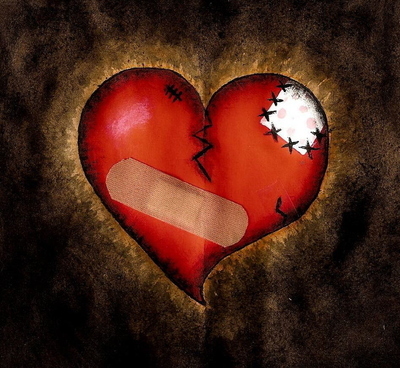 Even though everyone reacts differently to a break up, it is crucial that appropriate steps are taken to heal a broken heart. Take control of the situation by accepting the stage of denial, anger and sadness. Do not sit at home, shut people out and feel sorry for yourself, as this will not help you move on to find love and happiness again. Spending time with people that value you such as your family and friends is significant during a break up. These people are there to support you, and help you talk about the situation - but most importantly they are there to help you move on. It is ok to talk about the situation and how you are feeling, but keeping it to a minimum and focusing on the positives will help overcome the heartache. Past memories may be triggered by photos and gifts, so putting them out of sight will help them be out of mind. Avoiding special places you used to go to, or listening to that song you both loved will also help you avoid painful memories. Besides the emotional side of a break up, it is important to look after your health by avoiding junk food traps that we can all fall into. Stay away from foods high in sugar, fat and salt as they will contribute to higher levels of the stress hormone cortisol. During this period, it is important to lower your stress levels. Get your endorphins pumping by getting active. Going to the gym is a great way to release those feel good chemicals dopamine and serotonin. Try and hit the gym with a friend so you don’t have that feeling of loneliness, as this could trigger other unsettling feelings. We cannot deny that our emotions will be a roller coaster, but slowly acceptance will occur with time. Everyone will cope in a different way, but we must all remember, there is someone better out there for you. Great article Simone :) Some ideal tips in there.